IMMACULATE AND READY WITH A ONE YEAR HOME WARRANTY AND OFFERED at $78,800 BELOW TAX ASSESSMENT, only $94.11/SqFt!!! This is the Builder's own OPEN ONE LEVEL LIVING GOLF FRONT home in CYPRESS CREEK, less than 2 miles from shopping. 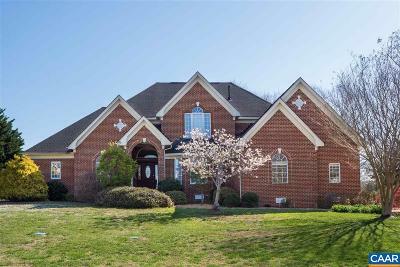 This solid and superior custom all brick home IS ONE OF THE LARGEST ON THE MARKET offering quality & detail throughout that include Imported Hardwood Floors & Moldings with Marble Accents and entry. Cherry & Granite Grace the Open Gourmet Chef's kitchen with Double Fireplace. Enjoy Breakfast & coffee on the 3rd Hole from the Octagonal Enclosed Sun porch.From the steam guest to the pond and golf view, no thoughtful detail was missed. Purchase with confidence!